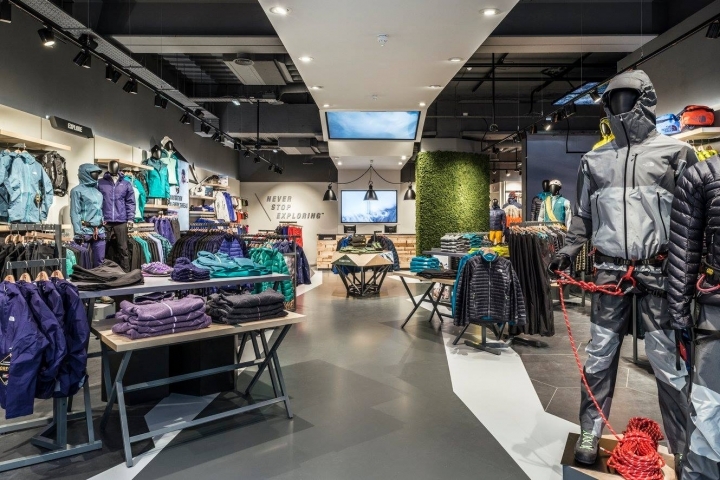 Being at the forefront of modern outdoor apparel is the principle that underpins The North Face’s new flagship on London’s Regent Street. 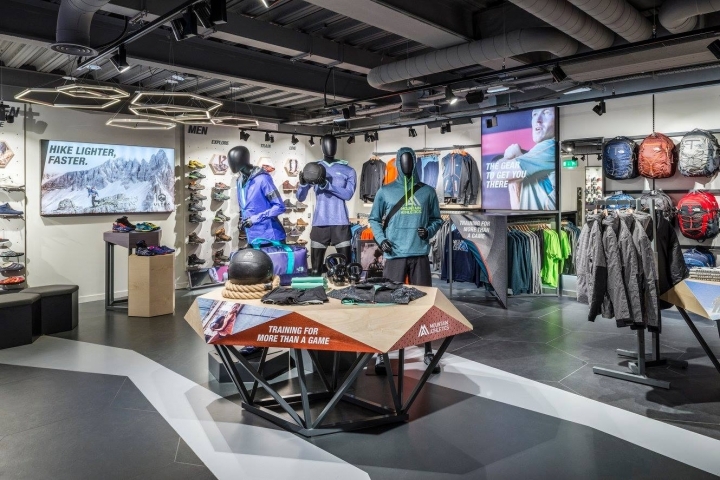 Outdoor gear and apparel brand The North Face (Alameda, Calif.) is known the world over for its traditional woodsy aesthetic, but for its store on London’s Regent Street, it decided to offer something unexpected for its thrill-seeking customers. 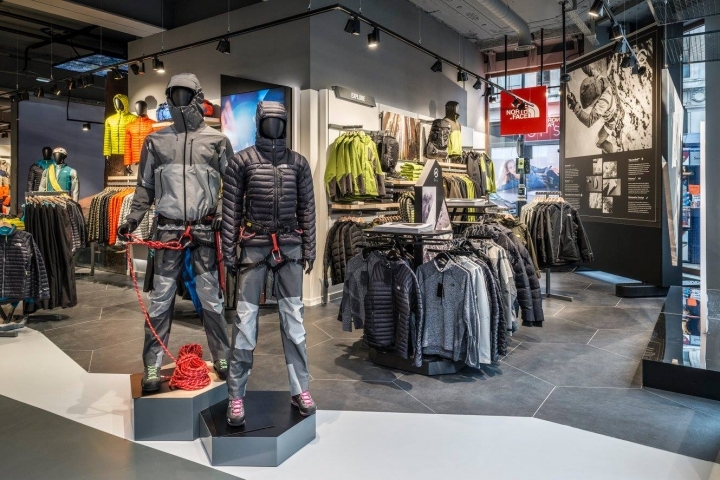 Practically, this has meant unveiling a 4300-square-foot store that looks different from the brand’s norm, and is regarded as a staging post in the move toward a new face for The North Face. The interior strikes that tricky balance between a layout that exudes a sense of adventure and one which also has a degree of clear navigation. 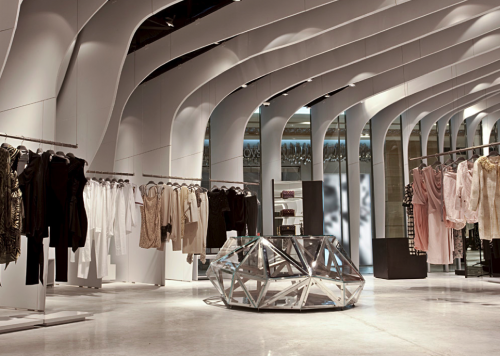 That adventure is evident in the form of tree-trunk shapes and other references to nature, from the moment shoppers enter this two-story store. 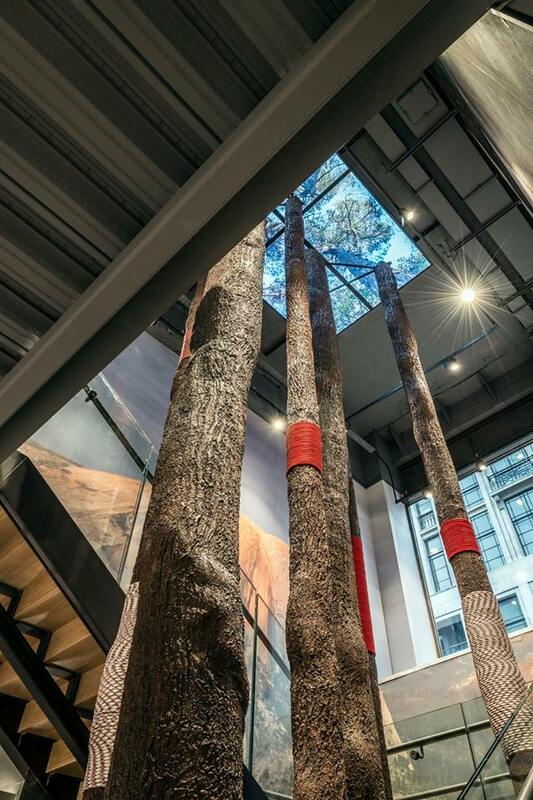 The faux trunks begin in the basement and rise up through the stairwell to reach the ceiling of the ground floor, creating a mini-forest. The feature’s intention was “to provide an emotional piece of guidance [and] to get people down to the basement,” Langley-Swain says. 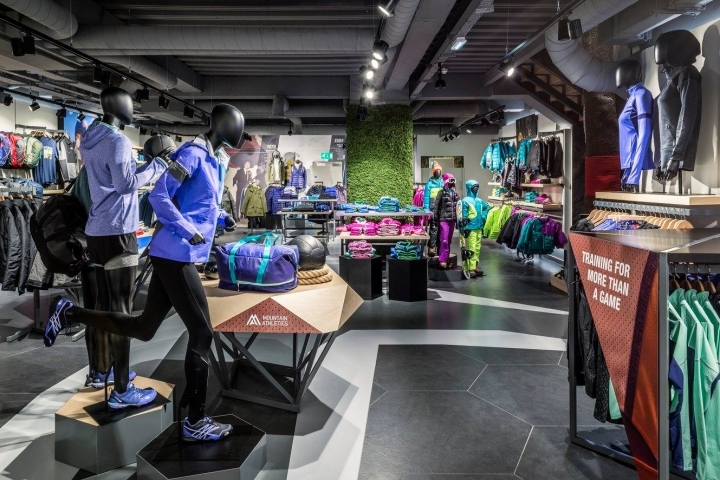 This unusual element coupled with a product layout modelled after outdoor lifestyle, rather than the grouped by category, as merchandise is typically organized in similar stores, positions this outerwear store as something noteworthy and different. 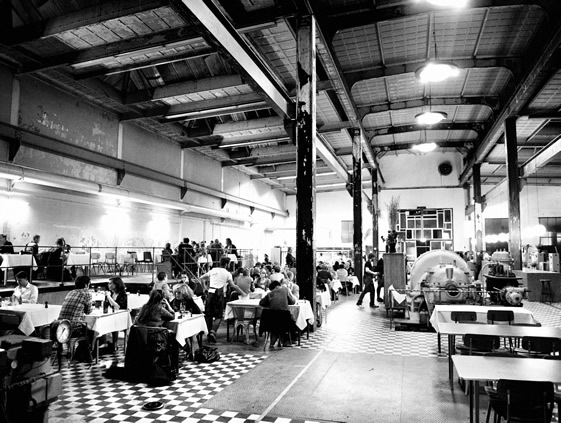 Practically, this means an interior that has been divided into three distinct areas. 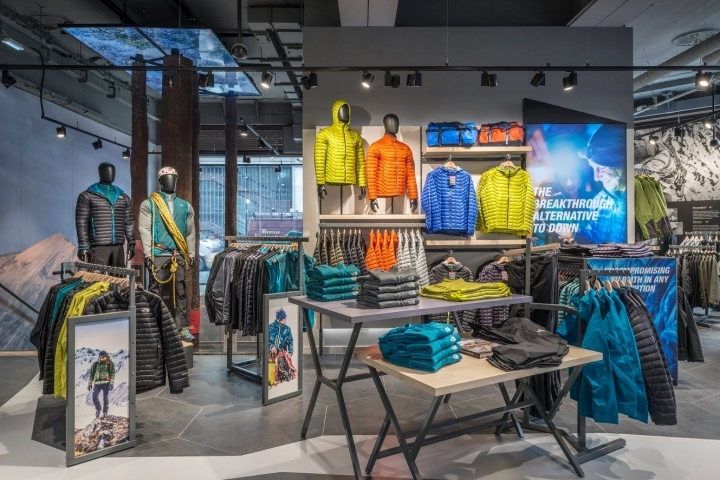 “Live” features outdoor-wear; “Train” offers clothes associated with fitness training; and “Explore” encompasses high-performance products for specific outdoor activities. 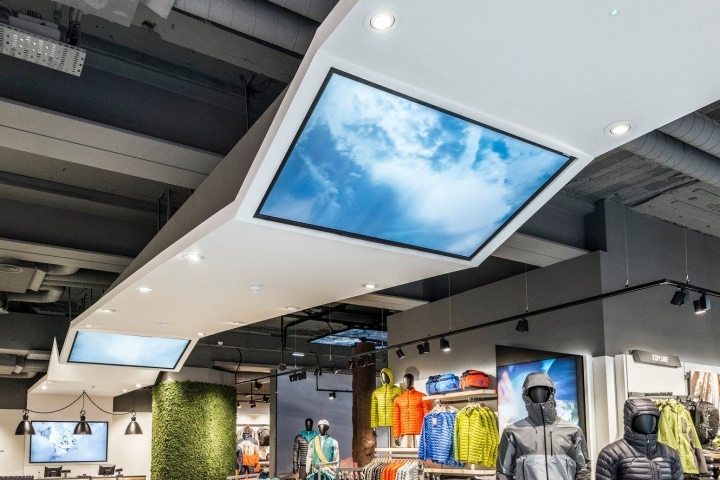 This is all complemented by a digital wall system that allows for “hero products” to be displayed and gives customers guidance on the product range. 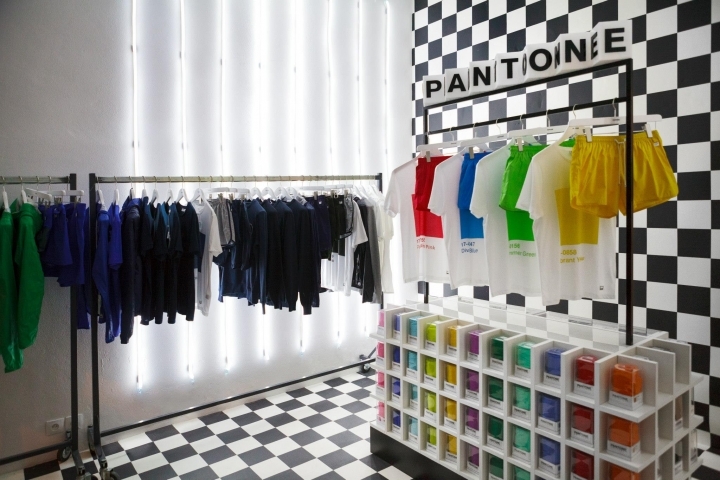 And this isn’t a one-off: “Learnings” from this store will be adapted and rolled out globally, says Mike Roberts, chief creative officer at Green Room, to extend the modern outdoor experience to its other locations. The North Face, Alameda, Calif.